As life success coach Tony Robbins notes, we live in a therapy culture: we tend to believe we are our past and that biography is destiny. 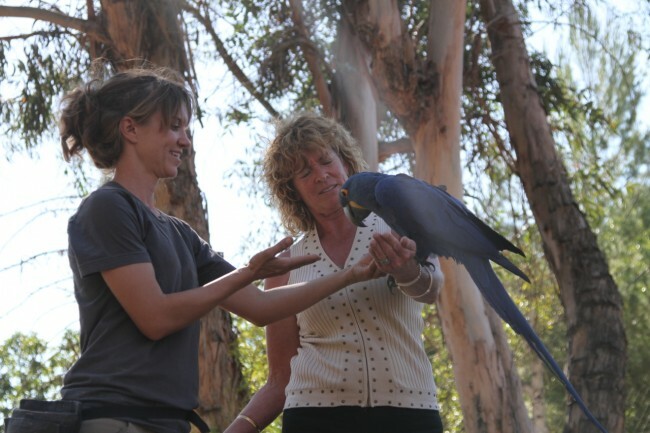 When we are looking for the how’s and why’s of our parrot behavior dilemmas, the discussions that commonly pervade the pet keeping community are those that look to biography as root cause rather than a solution. Think about it: if the behavior change we see in our birds is an inevitable progression in a parrot’s biological makeup, then there is nothing we have done or can do to change the behavior we are experiencing. It’s part of keeping birds in our homes. Love it or leave it. 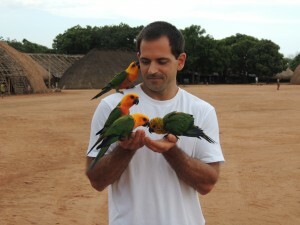 One of the ways this paradigm reveals itself in our relationship to our parrots is the way we refer to our behavior challenges as phases. When we use the term “phase,” it implies a behavior pattern without cause and as something to be endured, and perhaps at best, minimized. A phase implies a one-dimensional expression of behavior, certainly not one that looks to the environment for a feedback loop. How we treat our new companions in the first few weeks and months of their homecoming has a huge impact on our relationships. relationship is the bee’s knees. The bird steps up whenever we want it to, rarely – if ever – bites, hardly ever screams, adorably follows us around the house perhaps… essentially, it embodies the characteristics of all the things that we could ever ask for in a dream bird. If the new bird is a young one, similarly-related cultural phenomena (though completely different in experience) are the Terrible Two’s, and the Nippy Phase. It is as though each parrot is biologically destined to see these phases through. As the Terrible Two’s and adolescence have their place so firmly cemented in human development that we routinely commiserate to each other as parents (pretty sure that humans go through a nippy phase, too… or is that just me? 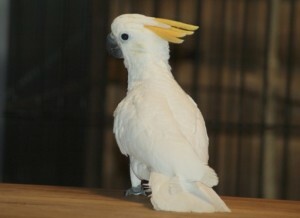 ), perhaps we jumped to hasty conclusions as we strive for answers as parrot owners. This is certainly not to deny that animals don’t undergo changes in behavior as they mature, but a closer look at our own influence would go a long way towards a solution before we blame biology. So, what exactly is the Honeymoon Phase, because we can’t deny that the term, borrowed from the early stages of a romantic human relationship when our partner can do no wrong, comes from some observable pattern? 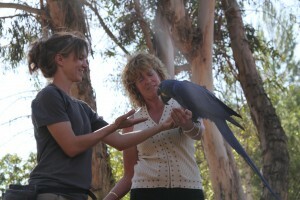 In fact, what we experience in the early stages of our relationship with our birds is the lack of learning history. Young birds are inclined to explore their environment. them close whenever the mood strikes us, or quickly usher them back into their cages. We do this in the name of teaching them the step-up command, getting them acclimated to cuddles in an effort to learn to love cuddling into adulthood, teaching them boundaries, and a host of reasons that have been passed down as the right way to “establish control.” We may not pay close attention to how our bird receives these overtures because we don’t have to…yet. But taking advantage of a baby bird’s plastic, mushy, easy-going stage, whether it’s in the name of instituting manners or because we don’t realize how the lack of learning history influences their developmental stages will almost certainly lead to trouble in the future. As the bird accrues these less pleasurable experiences that that in fact limits a bird’s choices, we humans will see the dreaded Nippy Stage that youngsters get a few weeks or months after coming home and eventually, the Terrible Twos. Thus, what gets billed as a seemingly natural stage of pre-adolescent development is instead a very predictable cycle of bird behavior in response to human behavior and human-enforced environmental conditions. It’s widespread because we humans behave in such unsurprising ways. youngsters haven’t developed strong behaviors in response to our actions yet. The tendency to use coercive techniques that limit a bird’s choice is reinforced because the response from the bird are instantaneous, and the fallout behaviors occur later and thus, seemingly without contiguity to these methods to the uninformed eye. How many times have we heard “He used to always let me do this….” Science tells us that if that interaction had value to him, he would still let it occur. However, if we start from the beginning by flexing our positive reinforcement muscles, not only will our relationship benefit, but we rehearse and refine our own skills rather than putting off developing our understanding of proper behavior management when the problems start to arise, our emotions run high, and learning becomes physiologically harder. In the spirit of helping our birds socialize by mimicking how a wild young parrot would be trying new experiences to help him become a well-adjusted adult, we can offer new experiences during this weanling phase in a carefully calculated way. Simply passing him around to strangers, wrapping him up in a towel, hauling him around in a car to run errands with us may not be the most effective way of socializing our new bird. 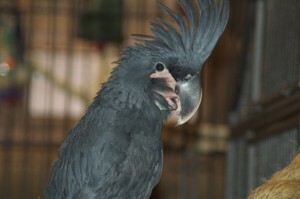 Just as taking a child to the dentist or an amusement park at an early age doesn’t guarantee a life of enjoying teeth cleanings and roller coasters, we need to make sure the new experiences our birds are exposed to are paired with positive associations and don’t involve blocking fear responses that lead to a shutdown in two-way communication. beginning, even when we can get away with less. When we slip and get stuck in circles that explain behavior that remove ourselves as part of the problem and the solution, we are often relying on Tony Robbins’ description of biography as destiny. Your birds’ response may not be a “conure thing” or a phase that “all Indian Ringnecks go through.” Its behavior has every bit to do with its individual learning history, and that is an important and magnificent thing to recognize in a very intelligent being. This entry was posted in Problem Behaviors, Training and tagged behavior problems, biting, myths, taming. Bookmark the permalink.